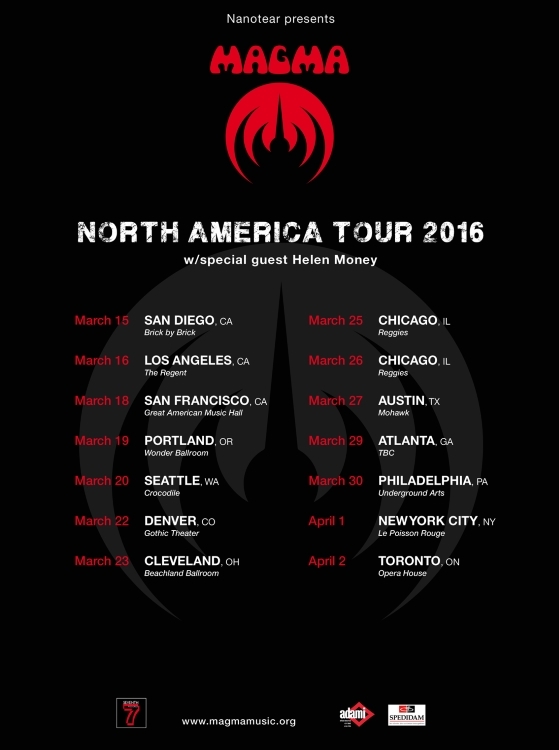 PROG ROCK MUSIC TALK: French Music Legends Magma To Tour North America Spring 2016! 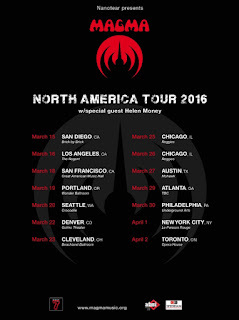 Paris, France - One of music's most innovative and eclectic ensembles Magma will tour North America beginning in March 2016! Swirling riffs in odd time signatures, theatrical choir arrangements, heavy and distorted pulsing bass guitar, bombastic and minimalistic (sometimes both at the same time), dark and brooding, adventurous and angelic, jazzy or classical, but always with the highly innovative and original drums of founder and main composer Christian Vander. On the forthcoming US dates the legendary ensemble will be performing selections of new and classic Magma music!